Souvenior Shop If you want to buy a large amount of Balinese souvenirs at the same time, go to Geneva Handicraft Center! It has interior on the first floor and goods on the second and third floors, and stone statues on the fourth floor. 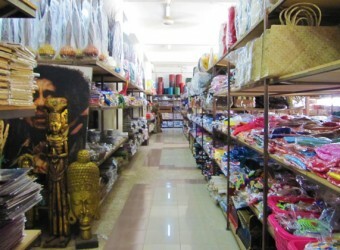 You will be find a standard souvenir of Bali such as sandals, toys, t-shirts and antique items. all the items are cheaper than the ones at regular souvenir shops.